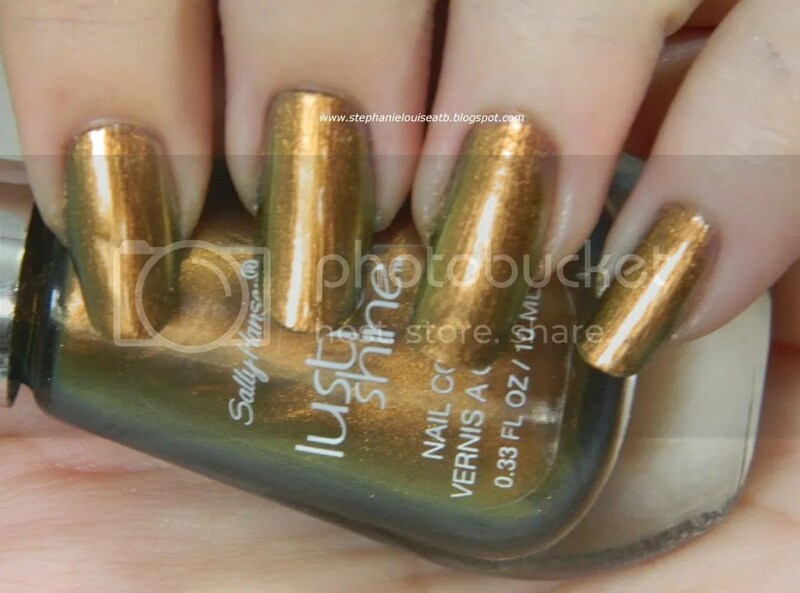 So with all the Chanel Peridot dupes roaming around, the promo shots of Plume from the Sally Hansen Lustre Shine collection had people talking. Is it a dupe? Nope. But it is ultra pretty. Check out the shots below! 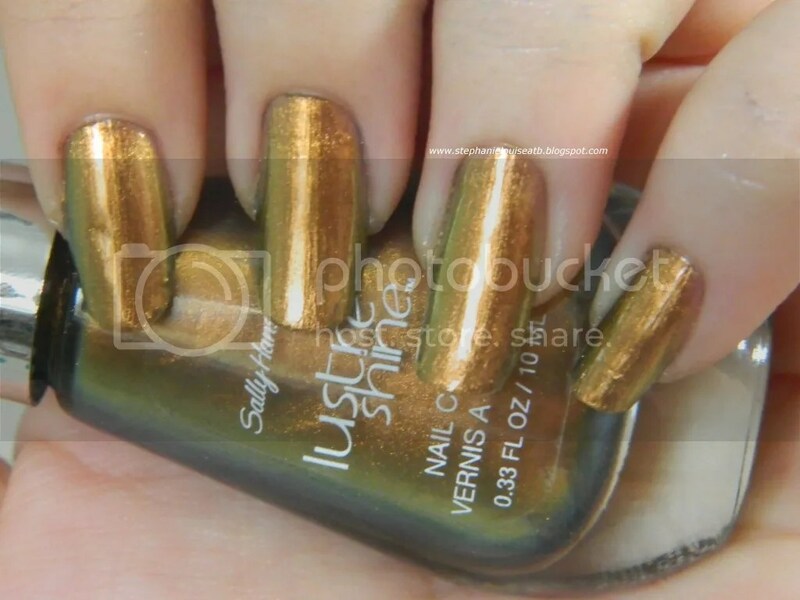 While this isn’t a dupe, it is really fun to wear.This has a strong antique bronze shade while the edges go this great olive shade. There’s also quite a bit of gold in there. This flashes really easily & shifts beautifully. If you don’t have tons of similar shades already, definitely pick this one up. This applies super smoothe & even, something not all of the similar shades I have. Are you feeling this shade? Don’t forget to check out Lava, Copperhead, & Scarab! Moonstone & Firefly will be up soon! Here’s my shots of all six shades as well!